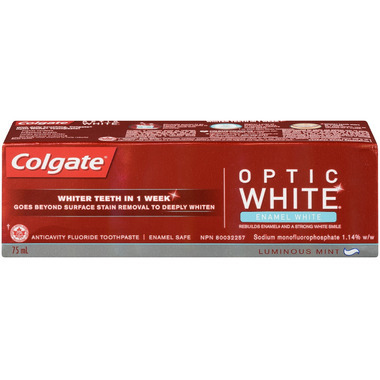 Colgate Optic White Toothpaste contains a high-impact whitening formula with hydrogen peroxide, designed to also whiten below the surface of the teeth. Get whiter teeth in one week, with daily use. Whiter teeth in one week!